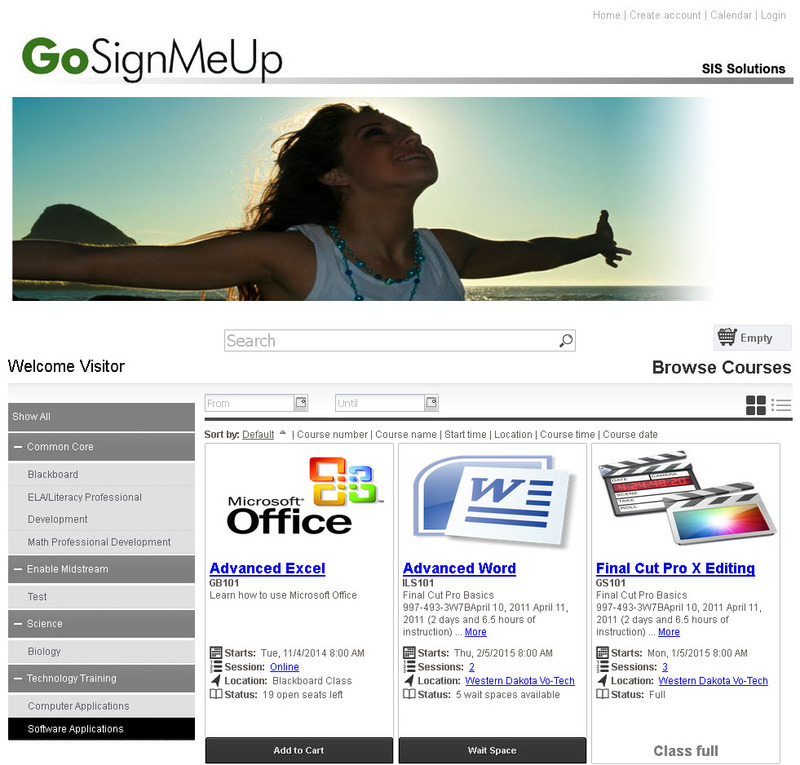 GoSignMeUp also provides the ability for classes to be placed into the students’ iCal or Outlook calendar. Make the entire registration process easier and more efficent for your enrolless with GoSignMeUp! Courses and events can be set up to be on a single day or on multiple days. Each day can have a unique starting time and ending time. Online classes can be set to be for a specific time period or can run continuously.. 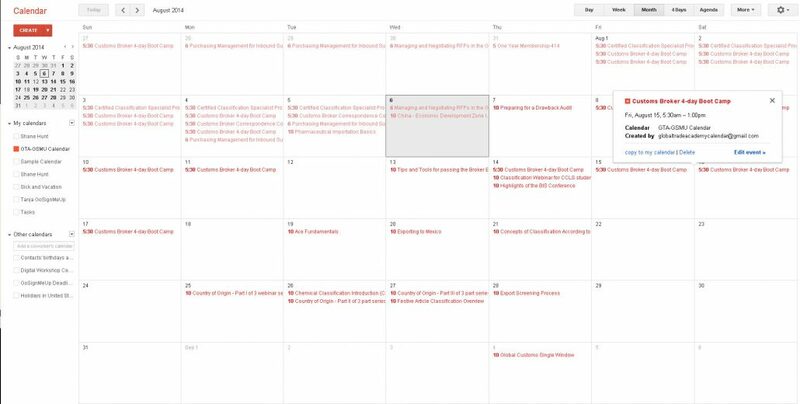 Courses and events can be set up to be on a single day or on multiple days. Each day can have a unique starting time and ending time. Online classes can be set to be for a specific time period or can run continuously. You can link your courses to a Google Calendar using GoSignMeUp. This is a great way to share available courses with associates or even embed in to a web site..